Technology today takes us to completely new levels, and it, of course, also applies to the makeup and beauty industry. With the help of technology, two men have created an extremely cool LED product that will make anyone glow. 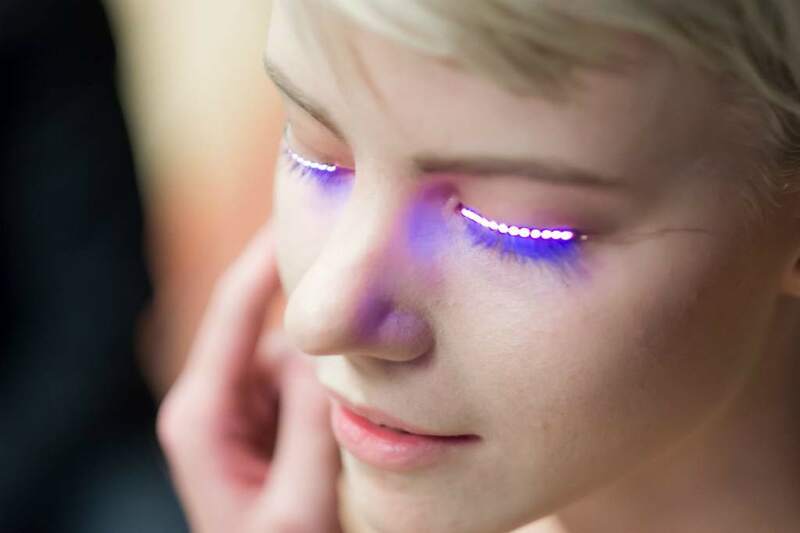 Tien Pham and Davey Taylor from f.Lashes have created a pair of super cool fake LED eyelashes that really make you light up at the party. Or why not Halloween or the concert!? And even more awesome is that they glow in different colors and in different patterns depending on your body’s movements. These fake eyelashes are easy to apply and remove and they also weigh very little, around 10 grams. They do not get hot which making them completely safe to use. The lashes are applied with lash glue and they do not feel any different than a pair of regular fake eyelashes. The LED lashes are powered by a 3V flat battery that is included when you purchase them. The battery is easy to put in the device that controls the LED lashes, which you can hide in the hair or somewhere on the clothes. The battery will last up to 140 hours which is plenty of time to shine on the dance floor at a lot of parties, concerts and other events! The quality of these fake lashes is quite good and do not flicker of blow off when it’s windy and you will not get an electric shock if water should make contact with the LED lashes. The colors that the LED lashes feature are not distracting and they do not bother your vision at all. In most cases, you will not notice the glow once they are applied and turned on. The colors available are white, light pink, red, yellow, light green, blue and light blue. This is a super cool product that I can recommend to anyone who wants to do something extra and unique for an event. If you are interested in procuring these LED Eyelashes, they are available through Amazon for anything from $ 4.85 and up. For more tutorials and news on eyelashes, click here.